The film that every Marvel Cinematic Universe fan has awaited is finally here: Avengers: infinity War. As to be expected, there is a flood of Marvel related LEGO creations this week. This model by BrickinNick is one of the more unique I've seen. 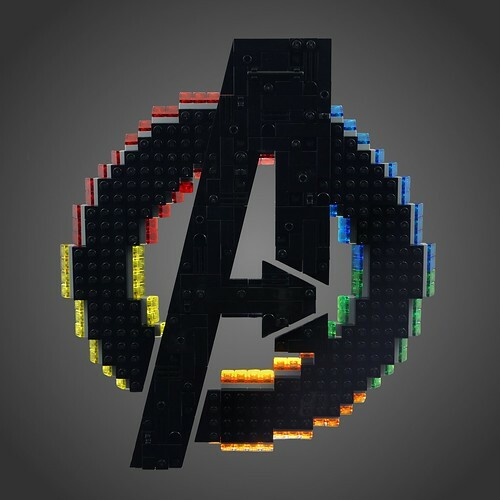 Not only is it an awesome replica of the Avengers logo, but it also includes a hint to each Infinity Stone. Awesome model to see on this special weekend!